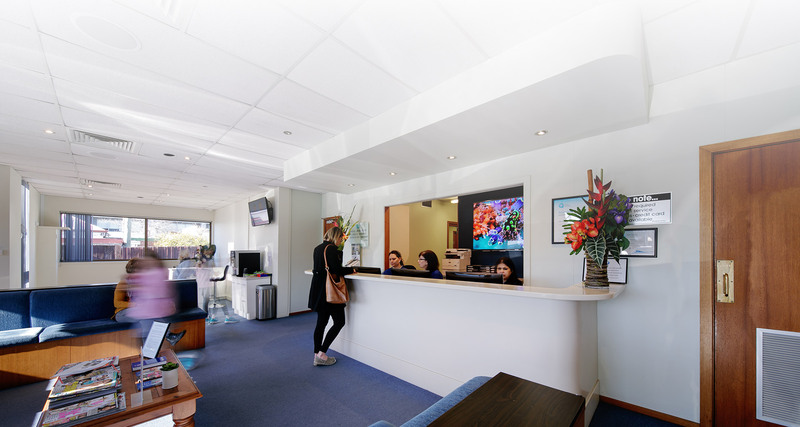 Welcome to Myers Street Dental Clinic, Geelong! We’re excited to have found you so we can begin your dental health journey together. We love the lifestyle we get to lead in Geelong, just like you do, and so it’s our job to make sure that you live your very best life – and that starts with the health of your teeth, mouth and gums. Sometimes we get asked why we do what we do and there is only one simple answer to that question: We love to look after people! There is no better feeling in the world than when you smile at us after having a weak, broken down tooth (or a whole mouthful of them!) with beautiful restored teeth that are secure and long-lasting. We’d love to see you if you are in the 36 per cent of people who don’t regularly visit your dentist. That’s how we care for you. Principal dentists Brenda Loh, Gautam Herle and Joseph “Joe” Juric. As a trio, backed by a strong team of professionals, we are reliable and consistent. We pride ourselves on our long-term understanding of our patients and experience in complex work and attention to detail. You are our family and we get you, wholeheartedly. Statistics released by the Australian Institute of Health and Welfare (AIHW) have shown that 64 per cent of people aged five and over have visited a dental practitioner in the previous year, and almost half of adults aged 18 and over have had regular dental check-ups with the same dental provider. This is music to our ears because one of the biggest problems we hear from our patients is that they don’t like going to the dentist. We’d love to see you if you are in the 36 per cent of people who don’t regularly visit your dentist. We work with you to restore your teeth and mouth to maximum strength, function and comfort (to make it better than before!) and help you live your best life. Our life-long aspiration is always to support people to live healthy, happy and confident lives. We have seen many people who fear the dentist, are in extreme pain, have low self-confidence and are embarrassed of their teeth and mouth, plus they are unable to enjoy foods they love. FAST FACT: Tooth enamel is the hardest substance in the human body. But that doesn’t mean you can use your mouth and teeth to open things like bottles and plastic packaging. Call us for a consultation to talk about your dental health journey on (03) 5222 4599 or visit us at 34 Myers St, Geelong. Alternatively, you can email us on info@myersdental.com.au or sign up below to receive monthly notes from us about keeping your dental health in check.